Discussions for Australian soapie Home and Away. Penny McNamee, elder sister of actress Jessica McNamee, will make her H&A debut in tonight’s episode. 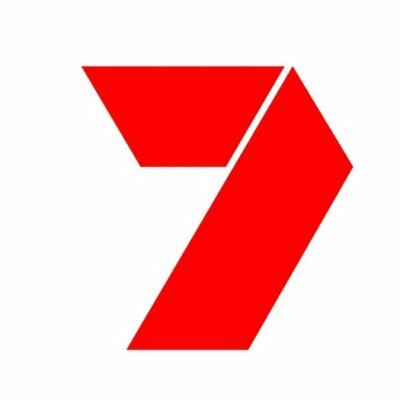 Home and Away trended on Twitter last night alongside MasterChef and Gogglebox, mainly because of what happened in the tripleheader. Many people on Twitter said they were shocked (and saddened) to see the deaths of two characters, the reveal of Charlotte’s killer, plus Irene being kidnapped. Why oh why do they waste a bunch of good episodes on a Thursday? I often miss it on a Thursday so to fall behind 3 episodes (and 3 massive episodes) just because of one night of the week is a disgrace. I guess I’ll have to find when they are repeating it over the weekend. Looks like the big cast overhaul is in swing. I think 4 characters are meant to be leaving pretty soon… I guess that’s two of them and probably the charlotte killer too. The Charlotte killer storyline btw has been pathetic. To think the murder happened last year and they have only gotten to it 5 months later. I was starting to wonder if I missed an episode where it had already been revealed because they seemed to stop focusing on it and it had been that long. Seven don’t care about this show much any more. They used to run individual promos for every episode, every day and night. Now they seem to just run one promo for upcoming events which they keep repeating over the whole week. Plus Bonnie Sveen and Johnny Ruffo (Seven tweeeted last week he was leaving the show after extending his contract late last year). Both Bonnie and Johnny will still be seen on the show for a few more months. I wish cast members would stay longer than 3 years. THE MORGAN FAMILY are moving into Summer Bay soon! I noticed at the Logies a couple of those guys on the stage when Home and Away won… and I was thinking obviously new cast members that havn’t made it to air yet. Obviously a part of this big cast overhaul. Former Wonderland star Anna Bamford is joining the soap. She says she was a big fan when she was a teenager. Here is a legitimate question - does Stephen Peacocke wear a wig? Or is that a silly question because it’s so obvious? [/quote] Not only is it the standard contract period in TV, it is around the length of time that an audience watches soap operas. Not only is it the standard contract period in TV, it is around the length of time that an audience watches soap operas. [/quote] They even look like those beach boys or whatever they are called. Ratings must be down the loo. HOME AND AWAY’S newest family, including former PACKED TO THE RAFTER’S star James Stewart, make their debut next week. James Stewart (Packed to the Rafters, Tomorrow, When The War Began) and his on-air siblings, Jackson Heywood (Vulnerable, East West 101, Teen Wolf) and Orpheus Pledger (McLeod’s Daughters, Blue Heelers) join Penny McNamee (Witches of Eastwick, Wicked: The Musical, Salem’s Lot, The Pacific, Elementary, Blue Bloods) as the Morgan family on HOME AND AWAY next Tuesday, June 7. James plays the role of Justin, the eldest sibling of the Morgan family who takes the role of head of the family very seriously. He is a mechanic by trade and is an all-round typical Aussie bloke who loves his sport and a good laugh. Penny plays the role of second eldest Tori; the sweetheart of the family and the friend everyone wants to have. She’s also a successful doctor and her knowledge of medicine is second to none. Penny started on-air on Thursday, May 5 in the highly anticipated caravan explosion event. Jackson plays Brody, a successful chef who is passionate about cooking. He’s a bit gruff and struggles to let people get close to him but shares a special bond with Tori. Orpheus plays Mason; the youngest of the Morgan family. An energetic risk taker and explorer, he lives life in the moment and doesn’t take it too seriously. He’s a larrikin and the shining light of the household when things get dark. On surface level, the Morgan family appear to live a normal life but audiences will learn that they have a dangerous past and no one can find out who they really are. What is this new family hiding? Do not miss HOME AND AWAY’S hottest new family shake things up in Summer Bay next Tuesday, June 7.